This shares the same fragrance as It’s Raining Men shower gel, Ma Bar bubble bar and Honey I Washed the Kids soap. The rhassoul mud, honey and aloe vera combine to create an intensely soothing bath. Because our ballistics are all handmade, we’re able to go mad and make a stripy ballistic that reminds us of bees – which you wouldn’t be able to do on a machine. Each ballistic will look slightly different, because they are individually hand pressed. Noriko, who invented this ballistic, even wanted it to have a pair of wings – but we thought that was taking things too far!! Take a moment to let go of the world outside your bathroom before launching your ballistic into the water and watching it fizz away. Sodium Bicarbonate, Citric Acid, Rhassoul Mud, Honey, Perfume, Aloe Vera Extract, Organic Aloe Vera Gel, Sweet Wild Orange Oil, Bergamot Oil, Gardenia Extract, Limonene. 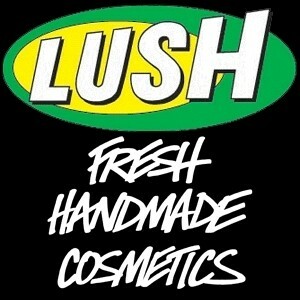 It is the first bath bomb I've ever tried from Lush,so I was really excited about using this. My favourite aspect of this is the scent. It smelled great and left me with the light scent and soft skin, and it also makes the bathroom smell divine. Not a bad bath bomb. Very relaxing and definitely perfect for a long bath after a long day. An affordable treat. A lovely sweet honey and citrus fragrance. Relaxing and soothing. Leaves your skin feeling silky smooth. Turns the water an unpleasant yellow colour. Leaves a grainy residue in the bath. 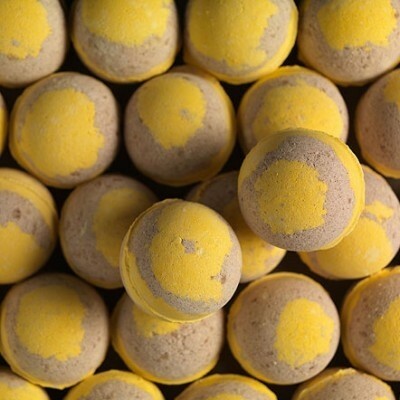 A relaxing honey/citrus bath bomb that soothes and softens the skin. |I love the smell of this but still can't justify putting a whole bomb in my bath so I put it in the paper bag and break it up. I use about a third per bath and find that it gives as good a scent and certainly soften the water nicely for me. this smells similar to my favourite bubble bar - Ma bar and also It's raininh men although that is a bit sweeter and stronger than this. in fact I prefer this scent. This doesn't leave too much of a residue when the bath water is emptied either which is a plus. this is another lush favorite of mine and smells lovely. reminds me of toffee and honey. smells like the honey i wased the kids soap and leaves your skin lovely and soft.it can be expensive but can be halved if you want to get more for your money.